The Corona Hotline, first launched last season, is up and running with a new coach and new features for a new football season. Star quarterback and “pigskin prognosticator” Tony Romo is the new Corona Hotline coach in our latest work for Corona Extra. The Hotline work utilizes Romo’s enthusiastic yet laid-back vibe to connect with fans and hotline callers who can call 1-844-9-Corona for Romo Reflections and Predictions. The functionality of the Hotline was created to be inherently interactive, fun and social so callers can enjoy the content on their own or easily share out. 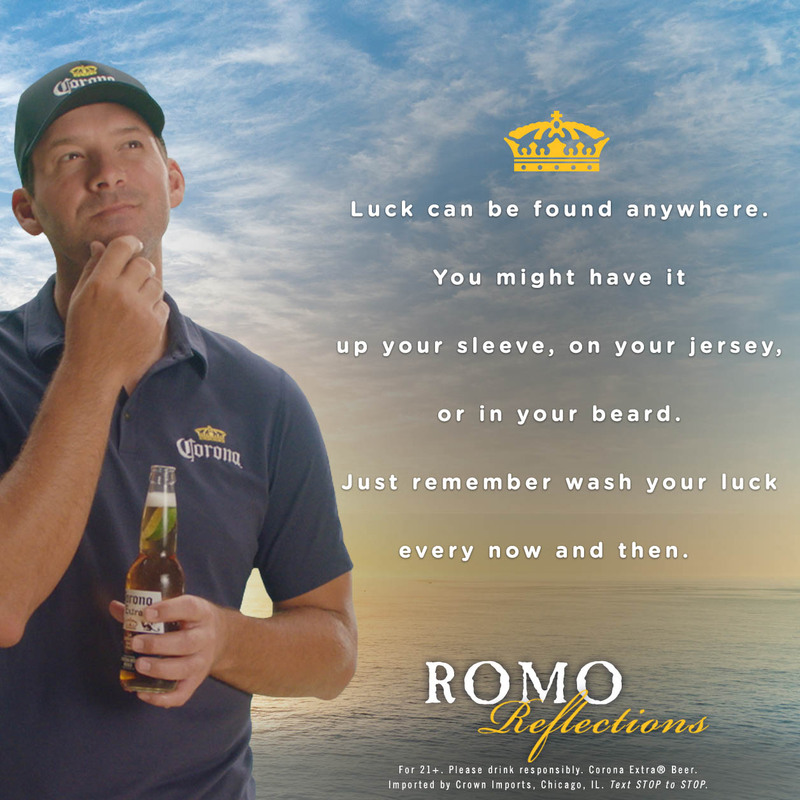 Go on, give it a try: call 1-844-9-Corona to hear Romo’s thoughts on the season.